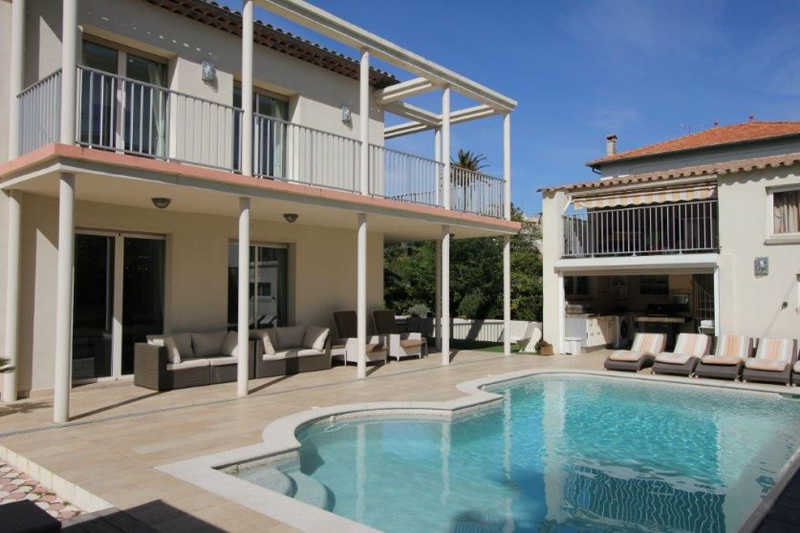 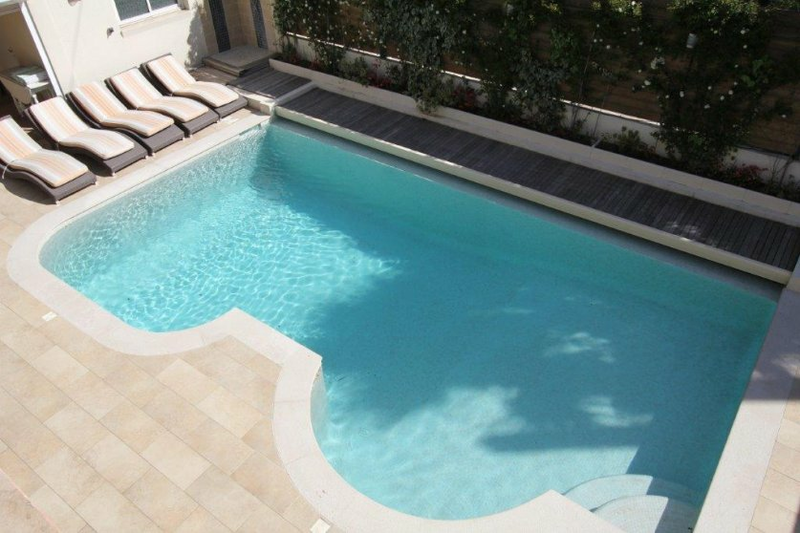 The 5-star Villa located in Juan les Pins,walking distance from the sea, close to shops, restaurants and bar. 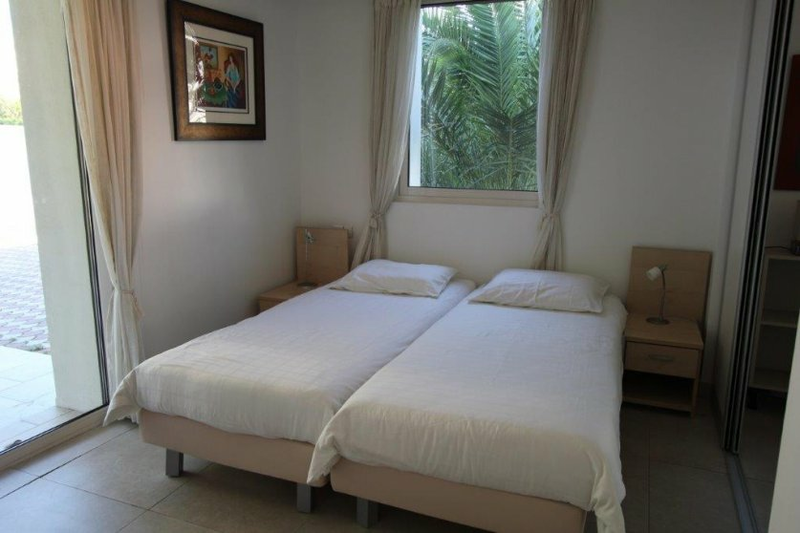 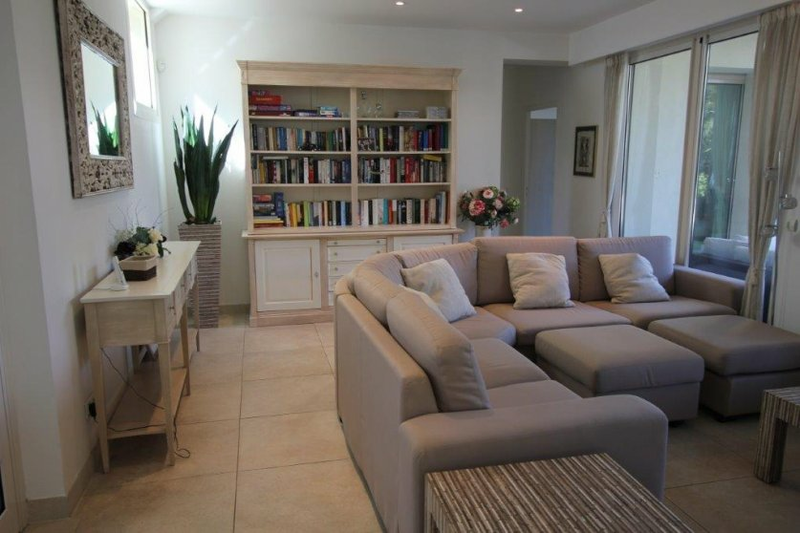 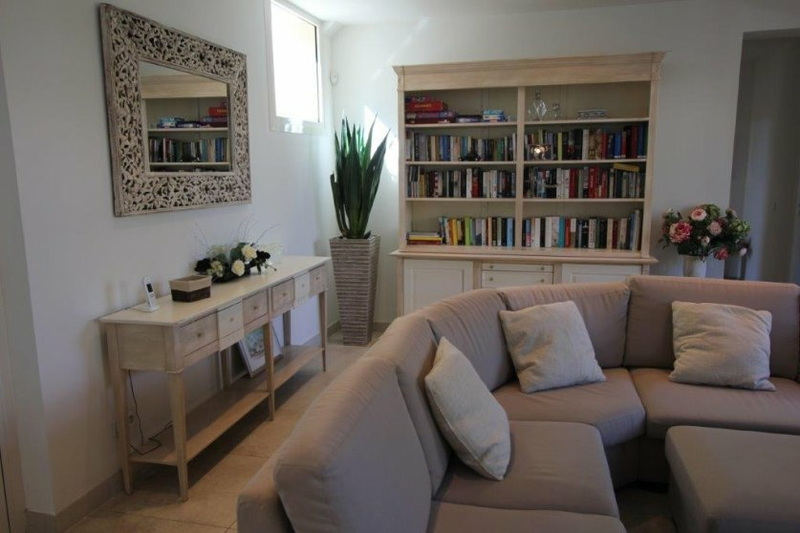 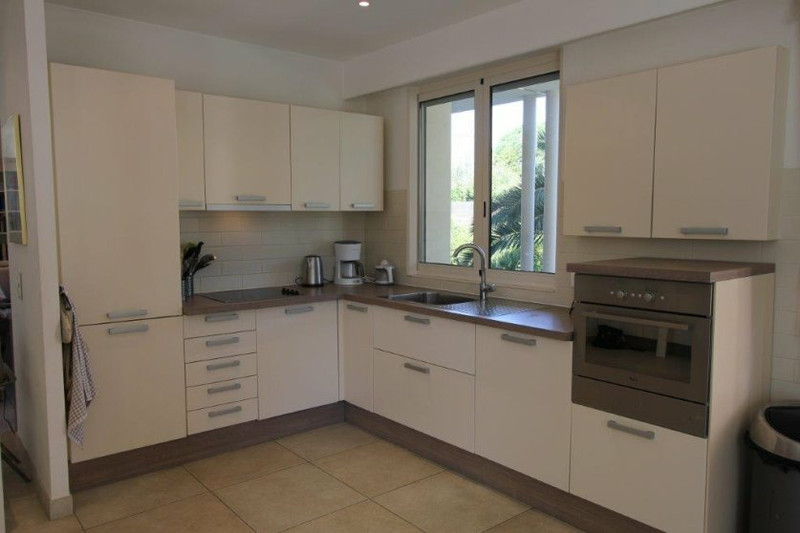 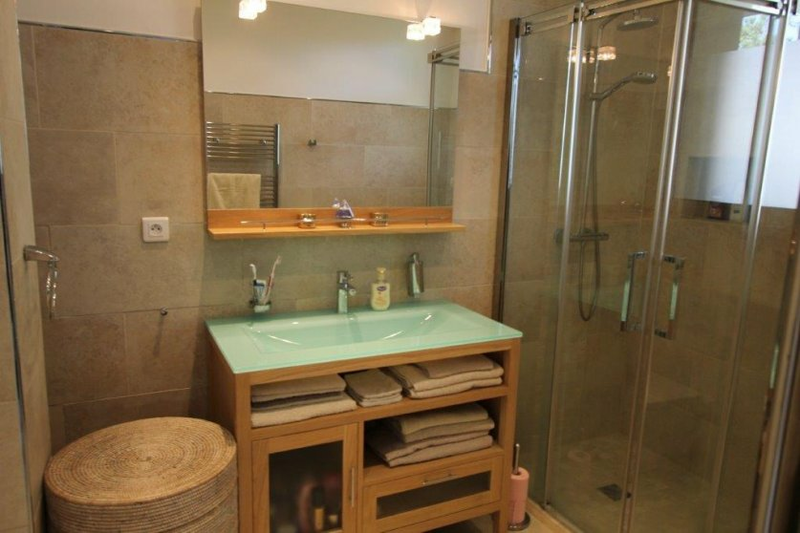 The in 2010 built villa well equip and furnished. 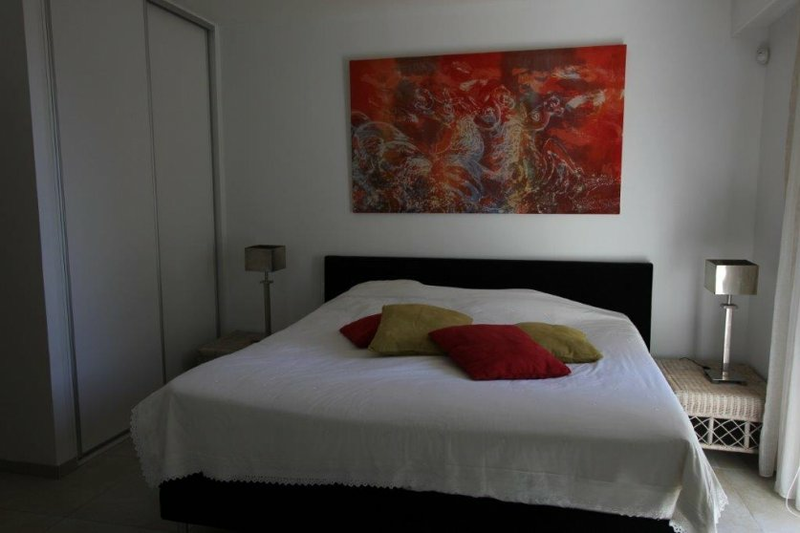 In the frist floor 2 independants apartements with 2 bedrooms, bathroom, kitchen equiped, and living rooms. 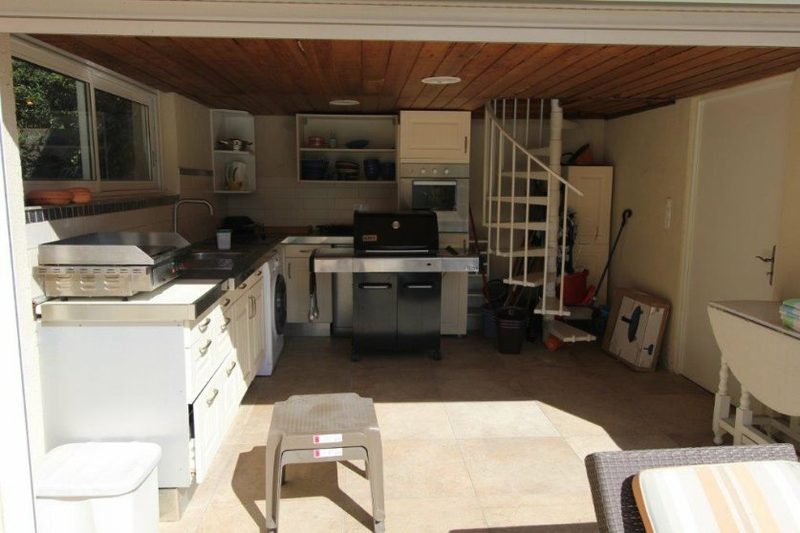 The exterior with the large swimming pool, relax, and a summer kitchen. 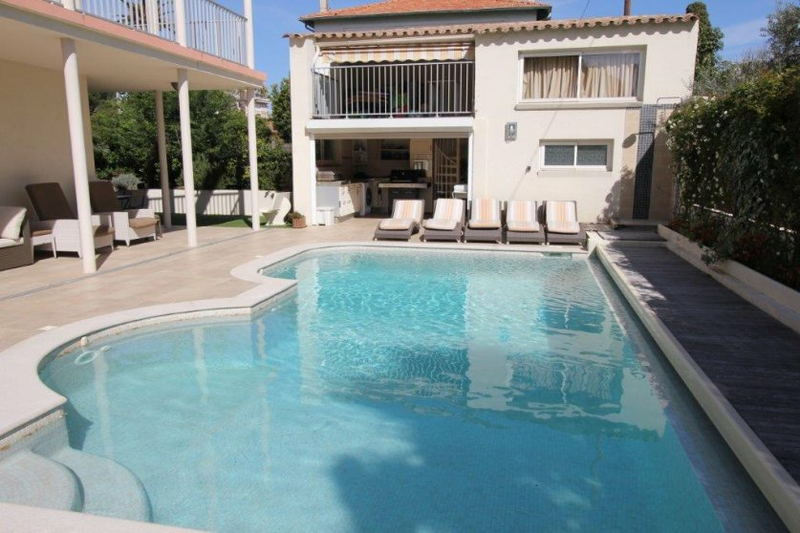 Very suitable for a nice family and friend holiday. 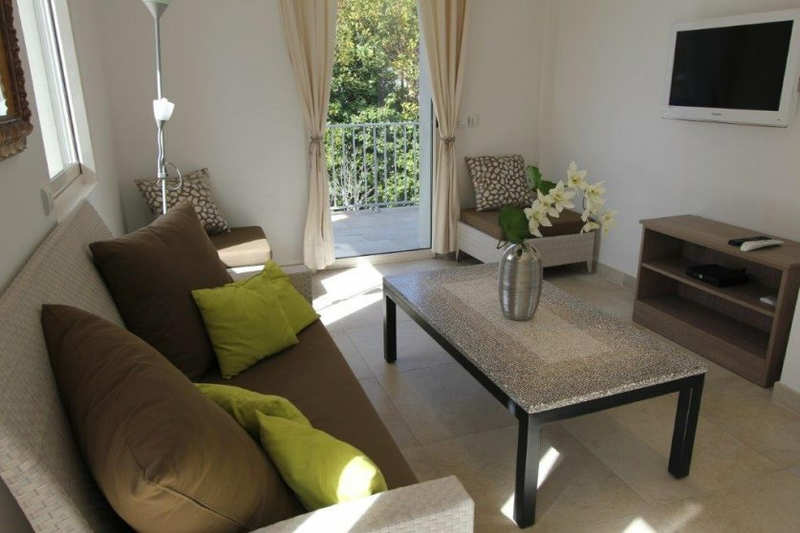 close to Cannes and antibes.